In these difficult economic times, everyone is interested in making their hard earned dollars go further. We hear this every day as it relates to veterinary care. When money is tight, it is tempting to forego those monthly heartworm pills. This is never a good idea. Heartworm disease is spread by mosquitoes. A mosquito picks up the tiny larval form of the parasite when it bites an infected dog. When the mosquito bites another dog, the larva is deposited and develops into adult worms that live in the right ventricle (the chamber that pumps blood through the lungs). These worms cause tremedous damage to the heart and pulmonary blood vessels. Untreated, heartworms can cause death due to right sided heart failure. While we can treat heartworms, the treatment is risky and can result in death due to an adverse reaction to the dying adult worms within the heart and lungs. However, there is only one medication approved and effective for the treatment of canine heartworm disease and this medication is currently unavailable due to production problems in the U.S.. We have managed to obtain a small supply , but we have no idea when we will be able to get more of this medication. The medication is being brought in from Europe under special provision by the FDA, but the supplies are inadequate to meet demand. Many heartworm positive dogs are unable to receive treatment and could suffer permanent heart damage or death as a result of this shortage. The other important development in heartworm disease is the emergence of strains that have become resistant to the monthly preventatives. This problem seems to be limited to some gulf coast areas, but this is likely to change. 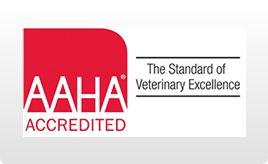 Most experts believe that this resistance is largely the result of owners missing doses of heartworm preventative. The good news is that you can prevent either of these problems by giving your pet heartworm preventative consistently throughout the year. We recommend Sentinel for all of our canine patients. Sentinel is a combination product that not only prevents heartworm disease, but also prevents fleas, hookworms, whipworms, and roundworms. A 12 month supply for a large dog (50-100 pounds) costs $0.47/day (or less with rebates offered for 6 and 12 tablets purchases). At Bayleaf, we understand that money is tight for many people. We are happy to provide Sentinel and other heartworm medication on a month to month basis and all of our prices are some of the most competitive in the area. The other option for those people that just can’t remember to give that monthly pill, is a six month injectable product, Proheart Six. We will send you a twice yearly reminder for your pet’s heartworm injection. Compare all of this to the cost and risk of treating heartworm disease. Heartworm treatment (if we have medication) with no complications costs nearly $500.00 (more than twice this amount at many area hospitals). Don’t be “penny wise and dollar foolish”. It just isn’t worth the risk!